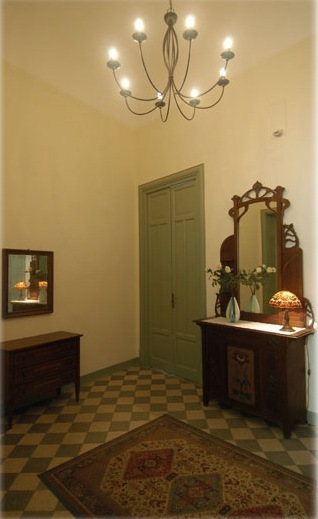 B&B PANORMUS, Palermo, Italy. Cosy accommodation in the heart of the city. | Travel Blog & Co.
B&B PANORMUS, Palermo, Italy. Cosy accommodation in the heart of the city. Located in the historical heart of Palermo, the bed and breakfast Panormus is a very cute solution to visit the city at a fair price. Set inside an Art Nouveau ancient building, very well preserved and restored, the BB Panormus is run by its owner, a young guy very kind and helpful. The breakfasts are friendly and rich. Good connections to the main Palermo’s attractions. Highly reccomended. This entry was posted in Hotels & BB and tagged architecture, art, B&B, bed&breakfast, blog, hotel, italy, national, Palermo, Sicily, travel by costanzafabbri. Bookmark the permalink.